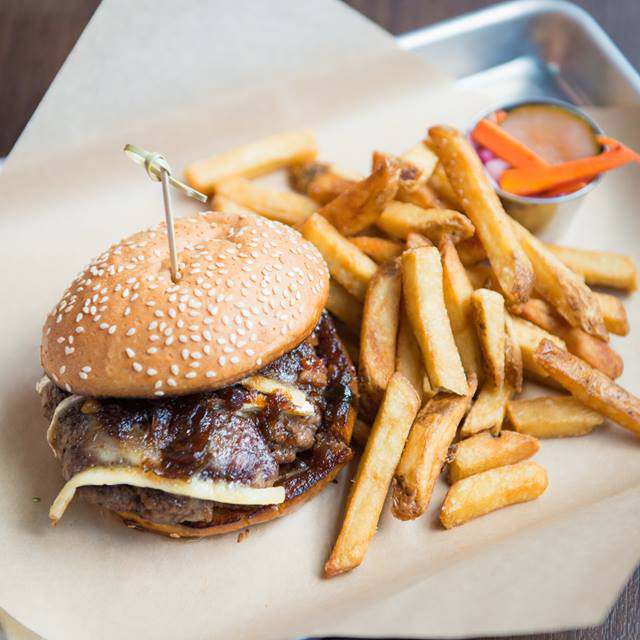 From classic patties with simple accoutrements to expertly prepared quinoa burgers, to massive platters to satisfy the hungriest carnivore, Kansas City has a burger for everyone. Pair your burger with a root beer milkshake or a crisp beer and kick back on a patio for your best burger dining experience. Here are the best burgers in Kansas City. 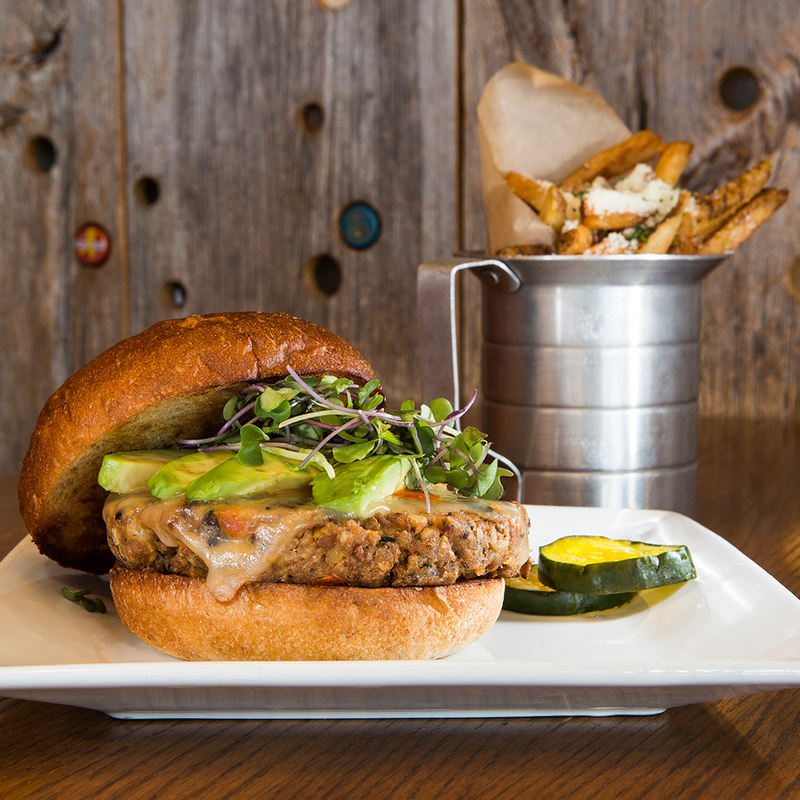 This warm, brick-exposed neighborhood favorite offers an epic vegetarian burger made of sweet potato and quinoa burger. If meat is your prerogative try the Windhaven Burger, dressed with white cheddar, country ham, roasted garlic spread and a farm-to-market brioche. On a nice evening, procure a table in the beer garden. 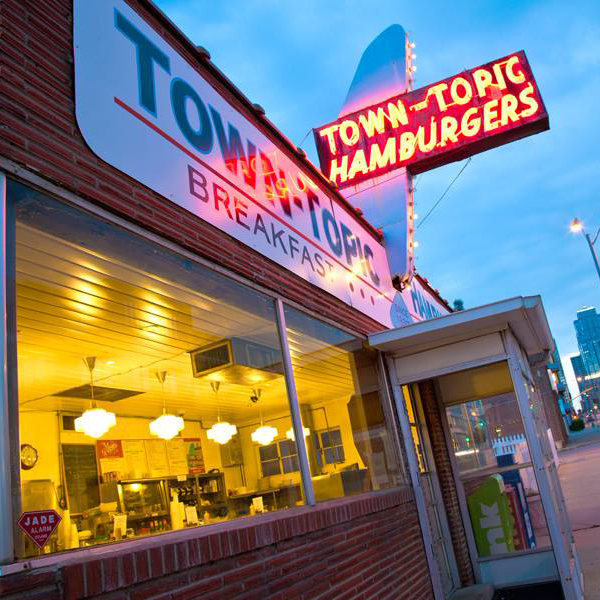 Pull up a seat at the counter and take a step back into the 1930’s at the iconic Town Topic which serves deceptively simple but enormously tasty, old fashioned double hamburgers with a side order of French fries or onion rings and a hand-dipped malt. Don’t leave without an Instagram-worthy moment with the outdoor, old-school neon signage. 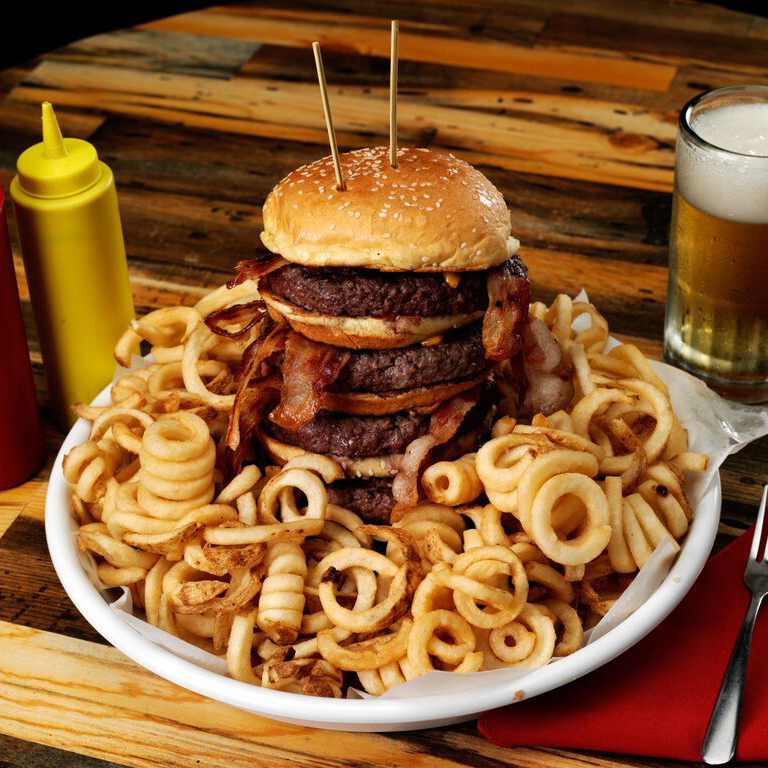 Go big at this flea market/eatery with the aptly-titled Super Flea, a heaping pile of 5 burgers topped with bacon, cheese and 2 pounds of fries. If you devour within 30 minutes, your meal is comped and you win a t-shirt. 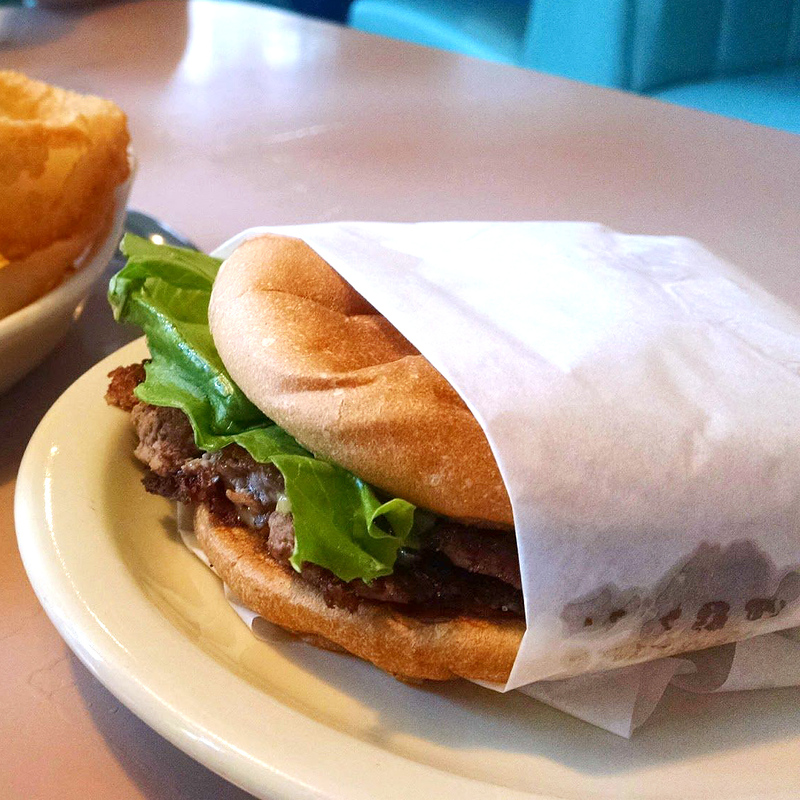 Otherwise, we recommend sticking with the mini market burger using meat from the local butcher, McGonigle’s with a fountain soda. The yard sliders at Anton’s, a sustainable butchery and restaurant, equate to a pair of mini, juicy grass-fed steak burgers with melted raw white cheddar, grilled peppers and onions served with side of coleslaw and a cold bottle an American craft beer. At this rustic-industrial spot in Westport, the carnivores can dig into the American beer burger with KC-style burnt ends and drenched in house-made BBQ sauce and vegetarians will dig into the Black Bean burger served with chipotle white cheddar cheese, chipotle aioli, avocado and tomato vinaigrette on a potato bun with freshly cut fries. 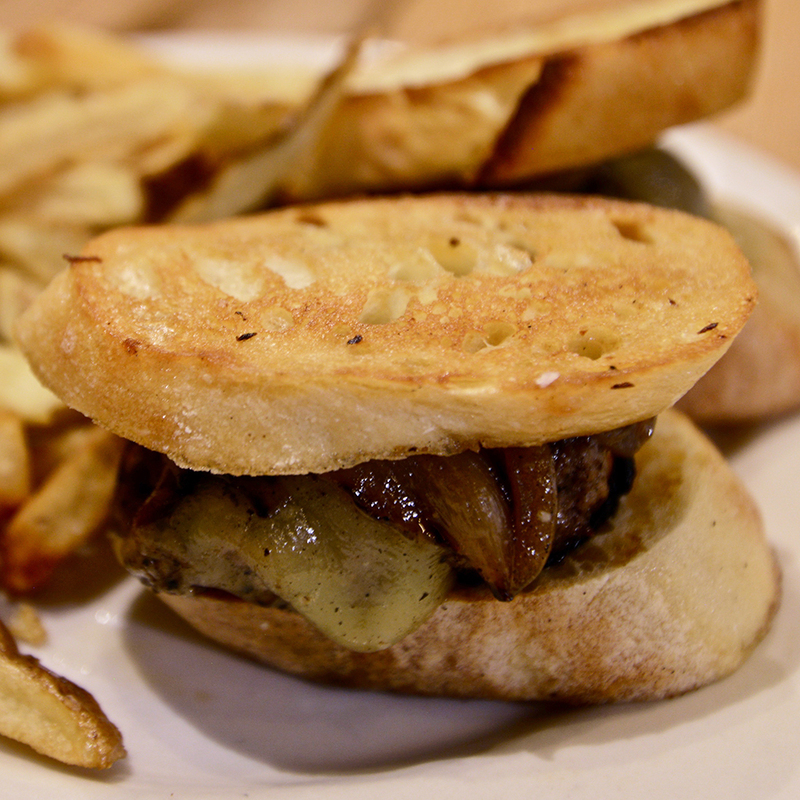 With two locations, there’s a vast list of grass-fed burgers made with a blend of chuck and short rib. 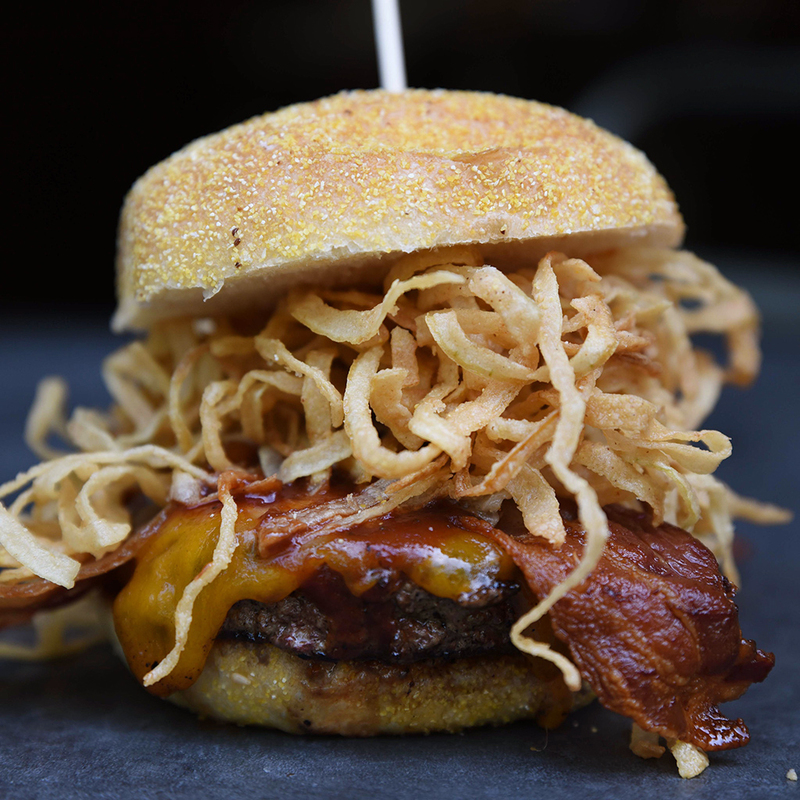 The classic BRGR comes with caramelized onions, American cheese, pickles and mustard on an onion bun (you can dress it up with an organic fried egg) or for a twist, opt the Roadhouse with bacon, Wisconsin cheddar, onion straws and bbq sauce on a corn bun.